On April 1, 1999, Nunavut became Canada's third territory. It was the first time that Canada's boundaries changed since Newfoundland joined Confederation in 1949. When Expo 67 was featured in Montreal, the Northwest Territories were much larger occupying all of Nunavut. Note: There are a few minor spelling mistakes in this document as it has been reproduced complete and unabridged as taken directly from the article. Photo descriptions are listed at the bottom of this page. 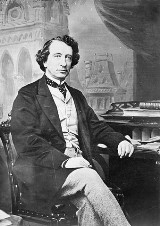 1867 - British Parliament passes British North American Act: Sir John A. Macdonald forms cabinet and wins first election; first Parliament meets. 1868 - Queen Victoria rejects appeal of Nova Scotia anti-confederates for dropping province from Confederation; D'Arcy McGee, Montreal MP and foe of Irish extremists, shot to death by Fenian sympathizer at Ottawa. 1869 - Dominion government gives N.S. better financial terms (first use of "equalization payments"); Louis Riel seizes Fort Garry and proclaims Red River "provincial government." 1870 - Manitoba constituted a province. Riel flees before military force; Fenians raid Quebec's Eastern Townships. 1871 - British Columbia joins Confederation; national currency uniformity legalized. 1873 - Northwest Mounted Police organized; 562 lost when liner Atlantic wrecked near Halifax; Canadian Pacific Railway organized; Macdonald government resigns over allegation that CPR paid into Conservative funds. 1874 - Liberals under Alexander Mackenzie win general election; Election Act introduces vote by ballot. 1875 - Presbyterian churches of various synods amalgamate as Generol Assembly; Dominion debt reaches $116,008,378. 1876 - Intercolonial Railway links Maritimes with central provinces; Alexander Graham Bell patents telephone. 1877 - Wilfrid Laurier, 36, becomes cabinet minister. 1878 - Canada Temperance Act, providing prohibition on local option basis, passed; Macdonald returns to power. 1879 - Lieutenant-Governor Luc Letellier de St. Just of Quebec fired for dismissing Conservative government in 1877 Liberal coup d'etat. 1880 - George Brown, a Father of Confederation, killed by discharged employee; Britain decrees all British North America except Newfoundland belongs to Canada. 1881 - Population reaches 4,328,000; sternwheeler Victoria sinks with loss of 181 lives in Thames River near London, Ont. 1882 - Federal electoral ridings redistributed. 1884 - Riel opens rebellion at Duck Lake, Sask. 1885 - Riel surrenders after forces routed, and is hanged. 1886 - Vancouver destroyed by fire. 1887 - CPR transcontinental line opened; Britain empowers Ottawa to negotiate foreign commercial treaties. 1889 - Rock slide kills 45 at Cape Diamond, Quebec City. 1890 - Manitoba Schools Act, suppressing separate schools, passed; oil discovered along Athabaska River. 1891 - Macdonald dies in office, succeeded by Sir John Abbott. 1892 - Newfoundland erects tariff against Canada. 1893 - Wheat crop reaches 50,000,000 bushels. 1895 - Women's suffrage bill defeated in Parliament. 1896 - Klondike gold rush touched off by find at Bonanza Creek; Liberals under Laurier elected. 1897 - One wing of Parliament Buildings burned; Canada enacts Imperial preference, raising tariffs against U.S.; Manitoba school compromise negotiated. 1898 - National plebiscite testing opinion, favors prohibition. 1899 - Canada sends troops to Boer War; 2,300 Doukhobors from Russia land at Halifax. 1900 - Canadians spearhead victory at Paardberg and help raise siege of Mafe-king. 1901 - Prohibition launched in P.E.I. 1902 - Trans-Pacific cable from Vancouver to Brisbane completed. 1903 - Alaska boundary dispute decided in favor of U.S.; landslide buries Frank, Alta., with loss of 66 lives; 125 die in Coal Creek, B.C. mine explosion. 1904 - Toronto hit by $11,000,000 fire. 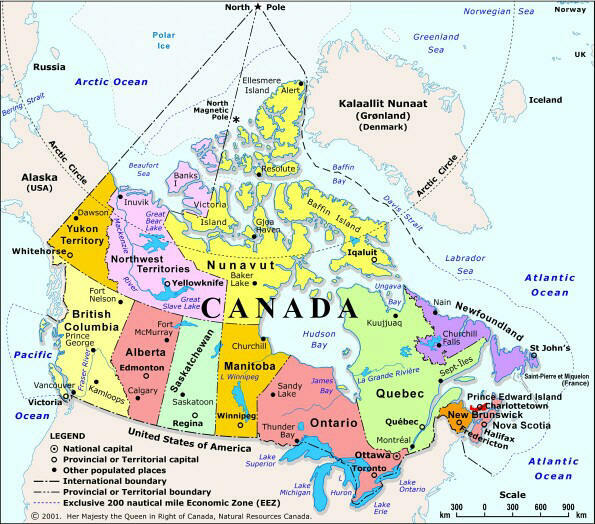 1905 - Provinces of Alberta and Saskatchewan created. 1906 - Britain hands over fortresses of Esquimalt and Halifax to Canada. 1907 - Marconi establishes transatlantic wireless service with base at Glace Bay, N.S. ; 60 workmen killed collapse of Quebec bridge. 1908 - Forest fires destroy three Kootnay B.C. towns with 70 dead. 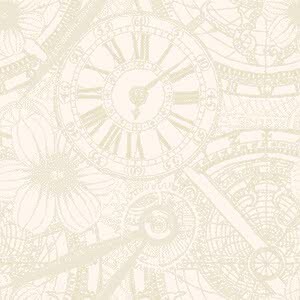 1909 - J.A.D. McCurdy makes Empire's first heavier-than-air flight at Baddeck, N.S. 1910 - Royal Canadian Navy established by legislation. 1911 - Trade reciprocity treaty with U.S. proclaimed; Conservatives win election and discard reciprocity; forest fire levels Northern Ontario mining town of South Porcupine, killing 73. 1913 - Worst Great Lakes storm in history takes 148 lives as 13 vessels wrecked. 1914 - Canada enters First World War; liner Empress of Ireland sinks in St. Lawrence River with loss of 1,024. 1915 - Canadians hold line at Ypres under gas attack; Canadian Corps formed; Sir Charles Tupper, last survivor of Fathers of Confederation dies. 1916 - Parliament Buildings destroyed by fire; controversial Militia Minister Sir Sam Hughes dropped from cabinet; 223 die in forest fire in Matheson area of Northern Ontario. 1917 - Personal income tax introduced as temporary war measure; Canadians capture Vimy Ridge; conscription enacted; 1,630 persons killed in munitions ship explosion at Halifax; in Alberta Louise McKinney and Roberta MacAdams become first woman members of an Empire legislature; The Canadian Press formed. 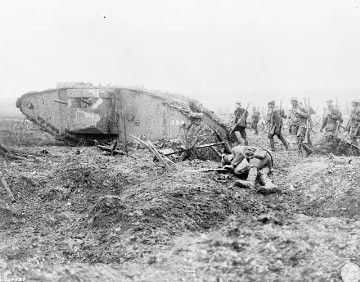 1918 - Federal franchise for women adopted; Canadians hold against German offensive; Canadian ship Princess Sophia sinks off Alaska with 398 dead; 88 killed in Allan Shaft explosion at Stellarton, N.S. 1919 - Sir Wilfred Laurier dies; Winnipeg general strike turns into rioting with two dead. 1920 - Sir Robert Borden turns over prime ministry to Arthur Meighen. 1921 - Liberals under W.L. Mackenzie King win general election; Agnes Macphail first woman elected to Parliament. 1922 - Discovery of insulin by Frederick Banting announced. 1923 - Royal Canadian Air Force established. 1925 - United Church of Canada formed. 1926 - Mackenzie King resigns over customs scandal; Meighen takes over but defeated on first Commons vote; King wins general election. 1927 - Old age pension on need basis begun. Privy Council fixes disputed Labrador boundary; 77 children die in Laurier Palace theatre fire in Montreal. 1928 - First transatlantic telephone calls made from Canada. Percy Williams wins with two gold medals in Olympic Games sprints. 1929 - Stock market collapses; international incident created as U.S. gunfire sinks Canadian rum-runner I'm Alone on high seas. 1930 - Cairine Wilson named first woman senator; R.B. Bennett and Conservatives win power; emergency session of Parliament votes $20,000,000 depression relief; radium found at Great Bear Lake. 1931 - Beautharnois inquiry reveals Liberals took money from power promoters; U.K. Parliament passes Statute of Westminster establishing Canadian autonomy in law-making. 1932 - Imperial economic conference at Ottowa reorganizes preferences; CCF formed. 1933 - Acreage-reducing wheat agreement reached among Canada, Argentina, Australia, U.S. and Russia to stabilize world market. 1934 - Dionne quintuplets born at Callander, Ont., brewer John S. Labatt kidnapped near London, Ont., later released. 1935 - Bank of Canada established; Parliament passes emergency depression legislation; unemployed riot at Regina; Alberta elects first Social Credit government. 1936 - CIO moves into Canada with sitdown at General Motors, Oshawa, Ont. ; CBC set up; two of three men trapped in Moose River, N.S., gold min rescued after 10-day entombment. 1937 - Privy Council disallows Bennett, social legislation; Transport Minister C.D. Howe files Montreal to Vancouver in 17 hours, 11 minutes. 1938 - Canada - U.S. - U.K. sign trade agreement; Canada contracts to build RAF bombers. 1939 - King George and Queen Elizabeth tour Canada; daily Trans-Canadian mail and passenger flights begin; war against Germany declared; Commonwealth Air-Training Plan starts in Canada. 1941 - Sir Frederick Banting killed in Newfoundland plane crash; Canadian troops reinforce Hong Kong but overrun as Japanese take colony. 1942 - Canadians spearhead Dheppe attack; 1st Canadian Army formed; ferry Caribou sunk by enemy sub off Cape Breton with 137 lost. 1943 - Canadians in invasions of Sicily and Italy; invade Kiska, but find Japanese gone; pay-as-you-go income tax begun; Gen. A.G.L. McNaughton relinquishes command of overseas army; St. Lawrence Gulf toll 20 ships. 1944 - Canadians land in Normandy; CCP wins Saskatchewan from Liberals; Defence Minister J.L. Raiston quits cabinet in conscription crisis, succeeded by McNaughton; family allowances start. 1945 - 1st and 2nd Canadian Corps accept surrender of opposing Germans in Germany and Holland as war ends; victory brings rioting by Canadian servicemen at Aldershot, England, and Halifax. 1946 - Red spy networks in Canada disclosed by Russian Igor Gouzenko, Communist MP Fred Rose among arrested; Rand formula devised to settle auto strike at Windsor, Ont. ; Nazi Gen. Kurt Meyer gets life sentence in shooting of Canadian prisoners. 1947 - Supreme Court of Canada replaces Privy Council as final appeal tribunal; Confederation talks with Newfoundland; quotas placed on imports to bolster dollar; oil discovered near Leduc, Alta. 1948 - Supreme Court rules ban on margarine unconstitutional; Louis St. Laurent succeeds retiring King as Liberal leader and prime minister; Parliament gets power to amend British North America Act. 1949 - Newfoundland joins Confederation; 119 die in fire on excursion ship Noronic at Toronto; time bomb wrecks CPA plane over Quebec, killing 23. 1950 - Mackenzie King dies; Winnipeg floods cause $25,000,000 damage; Canadian troops with UN forces in Korea; general strike ties up railways nine days. 1951 - Universal old age pensions at 70 adopted; Charlotte Whitton becomes mayor of Ottawa. 1952 - Vincent Massey becomes first Canadian governor-general; CBC begins Canadian TV. 1953 - Strike ties up deep-sea fleet for month; Stratford Festival started. 1954 - Hurricane Hazel smashes Toronto area with 81 dead and $24,000,000 damage; St. Lawrence Seaway launched; Toronto opens first Canadian subway. 1955 - Dew radar lines across north established; revised Criminal Code goes into effect. 1956 - Canadian Labor Congress formed; Parliament approves coast-west pipeline after historic uproar; John Diefenbaker becomes Conservative leader; 39 dead, 88 rescued in Springhill mine collapse; Canada Council created. 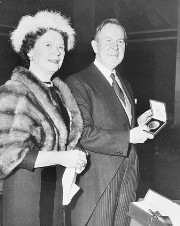 1957 - Diefenbaker wins general election, ending 22-year Liberal rule; Ellen Fairclough becomes first woman minister; Lester B. Pearson wins Nobel Peace Prize. 1958 - Pearson chosen Liberal leader; Conservatives win record majority; seven miners rescued at Springhill after 8½ days underground, 75 die in blast. 1959 - Queen Elizabeth and President Eisenhower open seaway; policeman killed as striking Newfoundland loggers riot. 1960 - Canadian in UN peacekeeping force in Congo; Parliament adopts Bill of Rights; Roger Woodward, 7, lives after Niagara Falls plunge. 1961 - Senate blocks unprecedented government attempt to dismiss James E. Coyne, governor of Bank of Canada, who then quits. 1962 - Conservatives lose Commons majority but stay in office; doctors' strike greets medical insurance plan in Saskatchewan; Trans-Canada Highway declared open. 1963 - Conservative government falls, Liberals win with minority; TCA airliner crashes at STe. Therese, Que., killing 118; government places trusteeship over Great Lakes unions after royal commission on violence. 1964 - Texas Guld makes $2,000,000,000 bases metals find near Timmins, Ont; Canadians in Cyprus peace-keeping force. 1965 - Influence-peddling charges surrounding dope smugglers Lucien Rivard lead to resignation of Guy Favreau as justice minister after royal commission criticism; vast power blackout in Ontario and northeastern U.S.
1966 - Paul Joseph Chartier kills self in Parliament Building with bomb meant for Commons; royal commission raps Diefenbaker for not firing Associate Defence Minister Pierre Sevigny over affair with playgirl Gerda Munsinger. Click on the clock to return to main Expo 67 index.